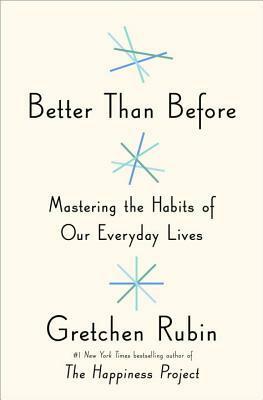 ...if habits are a key to change, then what we really need to know is: How do we change our habits? I love, love, love Rubin's writing style. She's so conversational and down to earth and can take information from a huge variety of sources, including scientific research and professional journals and make it understandable to any reader. 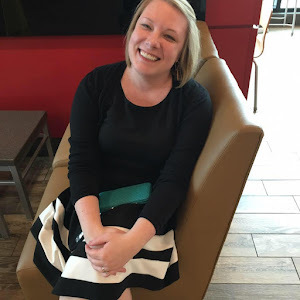 I love that she combines her research and analysis with stories from her own life and ways she has applied the things she learned about habits in her own life and how they worked in the lives of others. It's the perfect balance of narrative and how-to and presented with humor and warmth. This is some of the best non-fiction for me in terms of entertainment value. I'm not only learning new information and how to apply it to my life, but I'm hearing stories of how other people have used that same information in their lives. I get to study a subject and I also get practical application for myself. It's not a rapid read, and even without stopping to take notes it took me a few days to work my way through, so I'm not sure I'd classify it as a page-turner. That said, it completely held my attention and fulfilled and exceeded all of my expectations. My major, major takeaway from my initial read was that when something is a habit, you don't choose to do it. If you want daily exercise to be a part of your life, you don't wake up in the morning and ask yourself if you'll go to the gym. You already know the answer because it's a habit - you do it daily and you never question whether or not it's something you'll get done. Your day isn't complete until it's finished. I realize not everyone needs a daily workout, but, as I learned in the book, my personality type won't work with a five day a week schedule - it gives me way too much wiggle room to make excuses. After my next read, I want to revisit this again and talk more about specific aspects of the book that helped me, but for the purposes of review, just know that this book falls into the category of life-changer and that I don't think you'll be sorry you read it. I started with a library copy and had to have my own copy before I was even halfway finished. It'll have a permanent spot on my shelf. I've added this to my wishlist! It sounds like the kind of book everybody should give a read. Be Frank With Me Giveaway Winners! Be Frank With Me Giveaway! Book Review: Spark Joy + Free Bookmark Printable!